For each year, we give you not only the themes, but also gift suggestions you can really use. We even have some cute anniversary date ideas if you need some inspiration. Since budgets and gift-giving traditions vary, we’ve suggested both inexpensive gestures and over-the-top ideas. Some of these ideas could work for more than one anniversary year, so if you need extra inspiration, read through the whole list. We hope you enjoy it, and we wish you lots of days worth celebrating, all through the year. To learn more about each individual anniversary theme, click the anniversary year. Stuck on what to write? Try these anniversary message ideas from Hallmark writers. 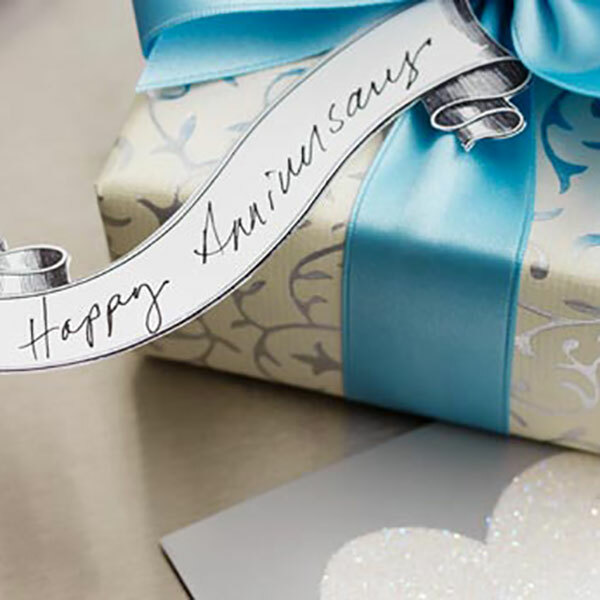 Hallmark also has a great selection of anniversary gifts, and we proudly offer same-day in-store pickup for your last-minute needs.